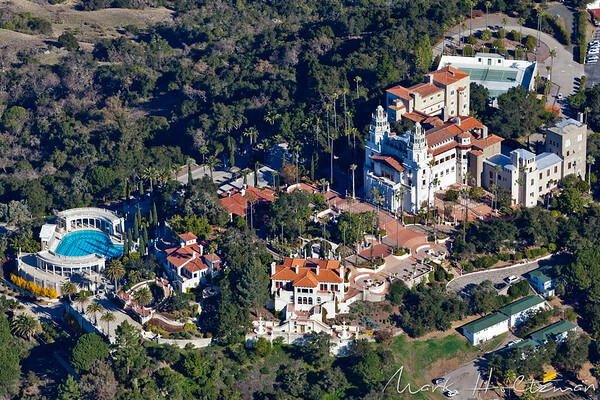 The Hearst Castle is a mansion and former home of William Randolph Hearst. Constructed between 1919-1947, the Hearst Castle is about half-way between Los Angeles and San Francisco, located in San Simeon in Central California. It was donated to the State of California in 1957 and has been maintained as a state historic park.